FB International LLC has been working with New Wines of Hungary, a consortium of wines from the Tokaj region of Hungary, to help them augment their presence in the American market. 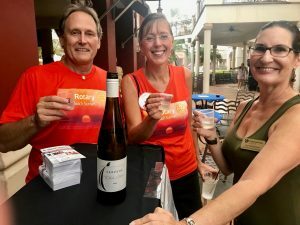 Our Florida-based partner, Rick Perry, has been organizing wine tasting events in the community. 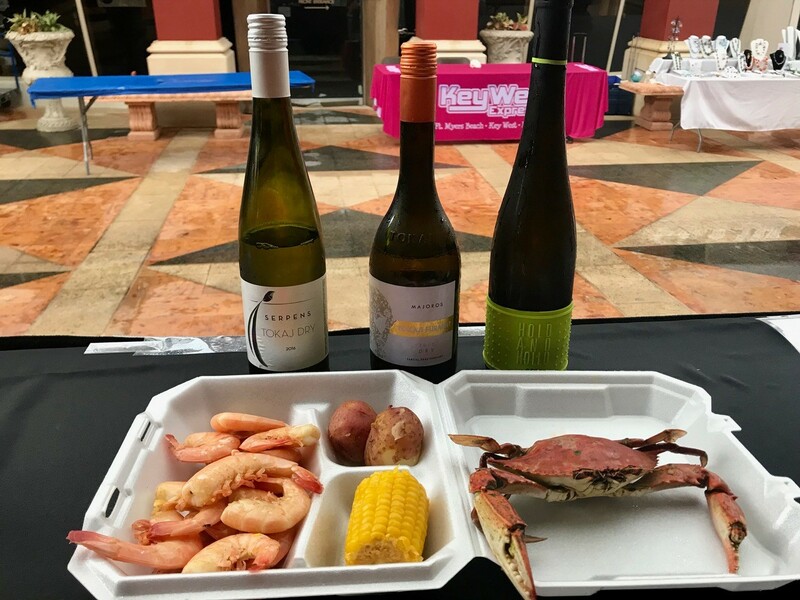 Click here to read about the Crawfish Boil where Rick showcased the wines in April of this year. Recently, Rick held a free wine tasting at the Rotary Youth Services event at the Promenade in Bonita Springs, Florida. More than 500 rotarians were in attendance. Being surrounded by water, it’s no surprise that seafood was on the menu for the day. Read on to hear about the feedback Rick received about the various Tokaji wines made available for tasting. The SERPENS Tokaj Dry wine was a fan favorite as an easy-drinking, “friendly” wine. (L-R) Rick Perry, Debbie Perry, and Lisa Wilkinson of Diamond Oaks Village tasting the ever-popular SERPENS Tokaj Dry 2016. Event attendee Tressa Johnson requesting more information on where to find SERPENS in Southwest Florida. 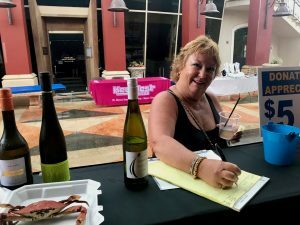 The Hold and Hollo Dry Furmint blend was also a popular choice. 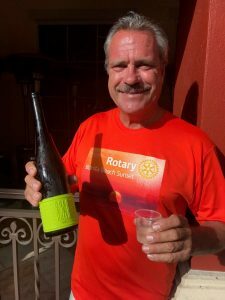 Rotarian Trace Taleck showcasing the Hold and Hollo Dry Furmint Blend. Taleck’s mother is of Hungarian descent and this was his favorite wine of the tasting. Florida blue crab & gulf shrimp boil with potatoes and corn paired with: SERPENS Tokaj Dry 2016, Majoros Tokaji Furmint Dry, and Hold and Hollo Furmint Blend. 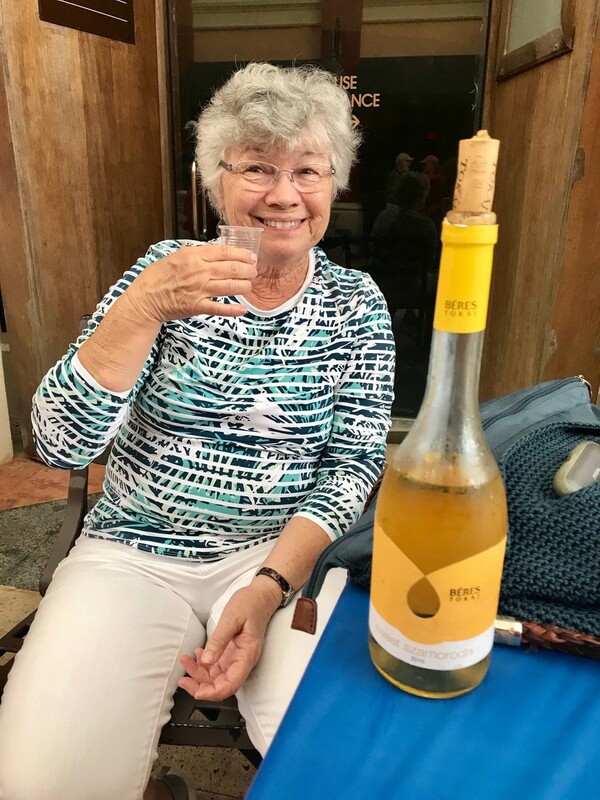 Mrs. DePalma, who requested a sweet wine, and was more-than-pleased to try Béres Sweet Szamorodni 2015. The wine tasting paired extremely well with the seafood offering and helped to make the Rotary event a success. Like the attendees featured above, we are looking forward to seeing these Hungarian Tokaji wines in more stores and restaurants soon! All photos courtesy of Rick Perry.